Russian investigators say they have evidence some Russian political activists received special training on seizing power using the so called “color revolution” blueprint, sponsored by Georgian politician Givi Targamadze. Agents of the Investigative Committee have conducted three new searchers of suspects’ apartments and collected evidence they allege confirm the activities of the head of the Leftist Front movement Sergey Udaltsov and his aides were financed by Targamadze, said the official spokesman of Investigative Committee, Vladimir Markin. The representative of Russia’s top federal law enforcement body added that it was already established that in spring 2012 a group of Russian citizens from various regions of the country traveled to Lithuania to participate in a seminar on how to seize power using the examples of the so called color revolutions, Markin told the press. 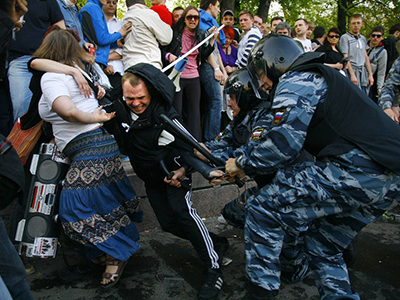 He also added that the participation of several Russian activists who were later arrested for participation in riots was proven by the documents. The spokesman said that investigators sought to find more persons who could be involved in the criminal plot, but did not elaborate on whether this was successful. According to Markin the searches yielded some electronic media containing books and instructions for the forceful overthrow of the regime “and other documents that are important for the criminal case”. The people whose apartments were searched were taken to the Investigative Committee for questioning, the official noted, adding that the legal status of those questioned remains as witnesses. 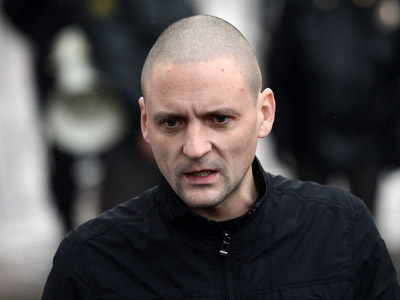 In late October the Investigative Committee charged the head of the unregistered political movement Leftist Front, Sergey Udaltsov, with conspiracy to organize mass riots in Russia. 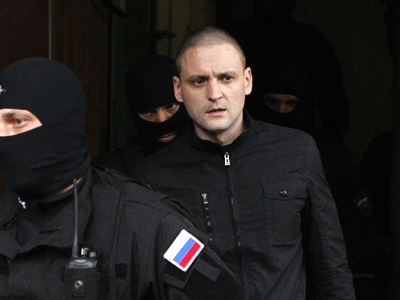 The case against Udaltsov was started after one of the state-run TV channels aired a program that showed a hidden camera recording of Udaltsov negotiating plans and finances with Georgian politician Givi Targamadze and allegedly receiving instructions to act against Russia’s lawful authorities. The activist denies all the charges and remains on bail but under a travel ban. 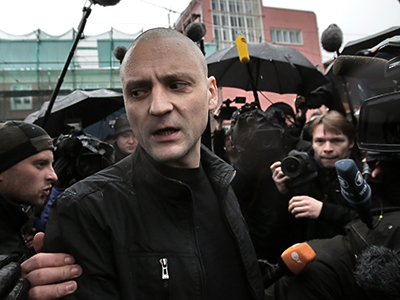 Udaltsov’s colleague Leonid Razvozzhayev was charged in the same case. The activist, who is also an official aide to a Russian MP, fled to Ukraine and reportedly wanted to seek political asylum, but was brought back to Russia by Russian special services and claimed that he was psychologically tortured for two days before being brought in front of the court that ordered his arrest. A third suspect in the case Konstantin Lebedev was also placed in pre-trial custody. He attempted to challenge the decision saying he did not believe in the court’s fairness, but this appeal was turned down.